Andrew Beckett: [making their cases before the judge in her office] This 'pestilent dust' that council refers to has appeared on only three occasions. Each time it was tested and the results: limestone. It's messy, but innocuous. Joe Miller: [leans in toward Andrew] Innocuous? Joe Miller: I know what it means. May I? To me this movie is both a relevant and compelling story, as well as a model of overcompensation. 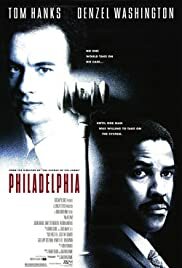 I feel as though Philadelphia was trying desperately to show a touching, human side to the AIDS epidemic, but at the same time overly conscious of the lack of compassion much of middle America has for homosexual victims of AIDS. As a result, our protagonist Andrew Beckett is made to be a virtual superman. I would have had more respect for the film if they'd made him more like you and me. If he had been a bright, successful lawyer with friends, a loving family, and a serious relationship that would have made him someone we could really relate to. Instead, Andrew was a legal phenom, THE rising star, future senior partner, the future leader of the law firm. And in his personal life, he was the most popular person at his firm, beloved by all. More than that, he was the most popular member of his whole family, he was brilliant, affable, going straight to the top, simply AMAZING!!! Doesn't it seem like they tried too hard to get us on his side? To show the human story of AIDS, show us an actual person, not superman. That is problem with Philadelphia. 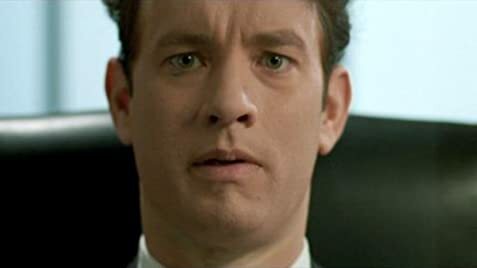 Having said that, Tom Hanks was fantastic, as usual. Denzel was also rock solid, his character basically representing all of us, the general public, the ones who don't empathize with gays because they either don't know any, or aren't conscious they know any, and fail to appreciate that they are real people and not merely stereotypes. His enlightenment with regards to this is one aspect of the movie I felt they came through on exceptionally. Philadelphia was an important story to be told, for just like so many other human tragedies, for us the unaffected to be able to see just one example up close and personal, it carries so much more weight than all the news reports and statistics in the world. I hope it had some positive impact in creating compassion among the general public. I just wish the film makers hadn't felt it would be necessary to go to superhuman lengths to give us a character we could feel for. 48 of 69 people found this review helpful. Was this review helpful to you?